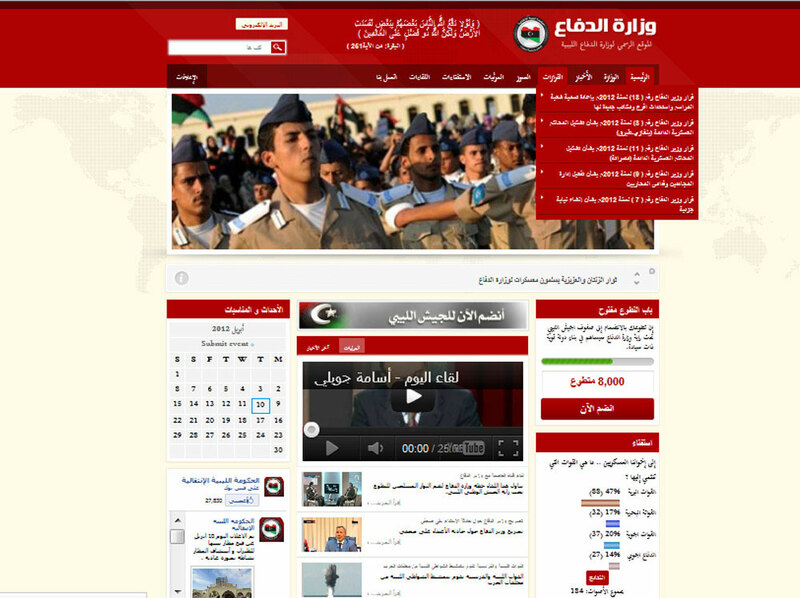 Posted by: Mambaon 2012/4/10 20:30:00 8474 reads The Ministry of Defense of Libya got a new website, and it's done in XOOPS! This is thanks to the hard work of Mowaffaq from www.arabxoops.com, who is tirelessly promoting XOOPS in the Arabic-speaking nations. XOOPS was compared to several other CMS solutions, and after the tests the Ministry of Defense has made the decision to go with XOOPS. This new Website is using Publisher, extCal, XoopsPoll, MyTube and several other modules. We are very proud of the achievement and would like to congratulate Mowaffaq and his team for this success. Thats fantasic news, I would also like to thank @MI6_Agent from MI6 for taking my suggestion on board to use XOOPS as the main platform in lybia while he works with the government on location and thank Mowaffaq for not minding me walking the powers to be at him like that.